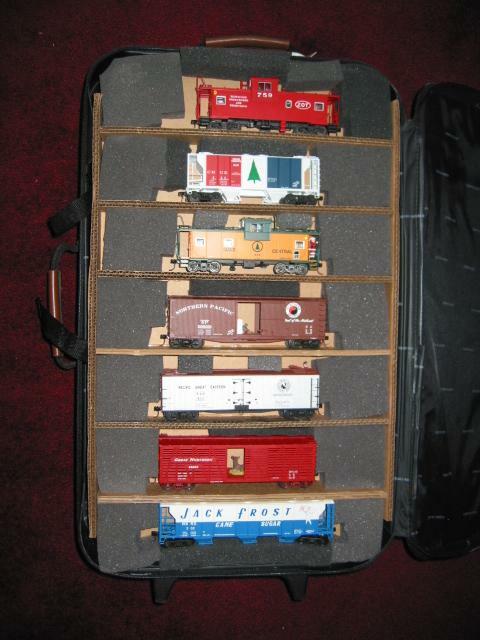 This is one of the cases I use to carry trains to train shows. 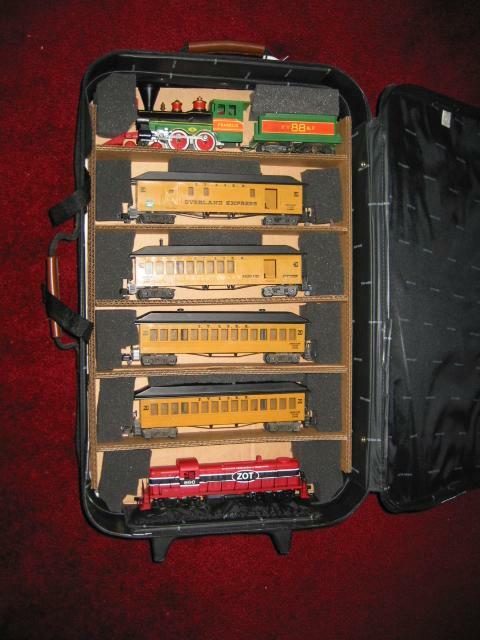 I have found that an 8-inch deep suitcase will hold three layers of trains. This view shows the case in storage mode or in travel mode. 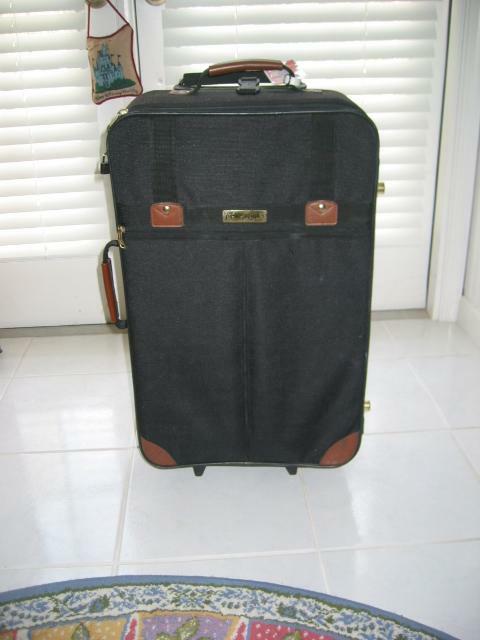 I prefer the cases with wheels and extensible handles. 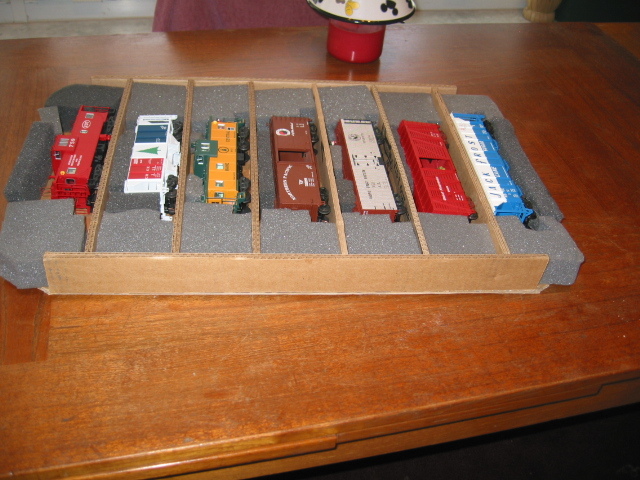 This view shows the top layer of trains. Each layer is supported and protected with a tray made from sturdy cardboard. Two-inch strips are attached to a base with hot glue. Soft foam is cut to fit the ends. Those pieces limit horizontal movement. I often cut notches in the foam to avoid contact with the couplers. I also cram some odd pieces of foam on top of the cars to limit vertical movement. This view shows a tray from the side. Let me know if you would like detailed construction information about the trays.